The word ‘macan’ is derived from the Javanese word for tiger, and for the Macan Turbo it’s easy to see where this tiger gets its bite! The Porsche Macan Turbo delivers a seat-grabbing 394bhp, 60bhp more power than the Macan S, and in spite of the fact it weighs 1928kg, it can achieve 0-62mph in 4.8 seconds. If you’re looking for an SUV crossover that combines sporty looks with an aggressive stance and serious performance, plus all the build quality assurance of Porsche engineering then the Macan Turbo is the one to go for! 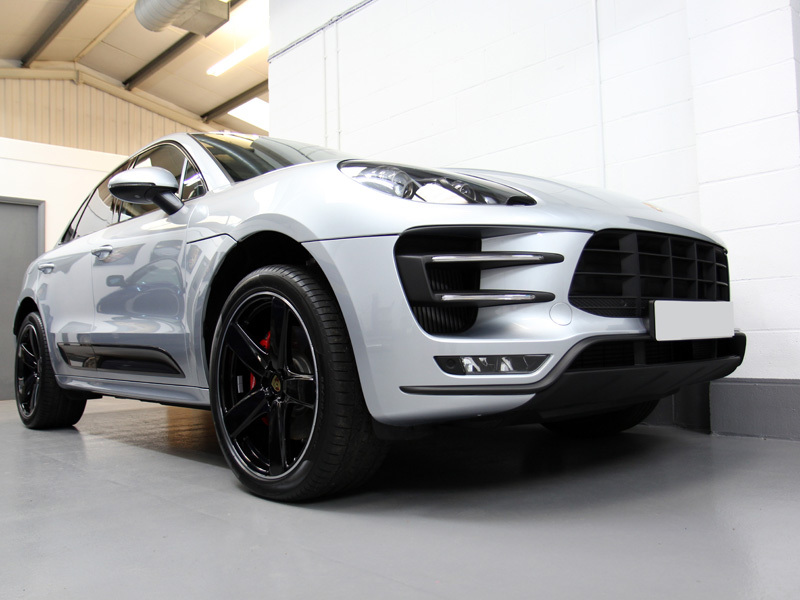 Purchased by an existing customer, this Macan Turbo was delivered to UF’s Brands Hatch based Detailing Studio directly from the Porsche dealership for a full New Car Protection Package. 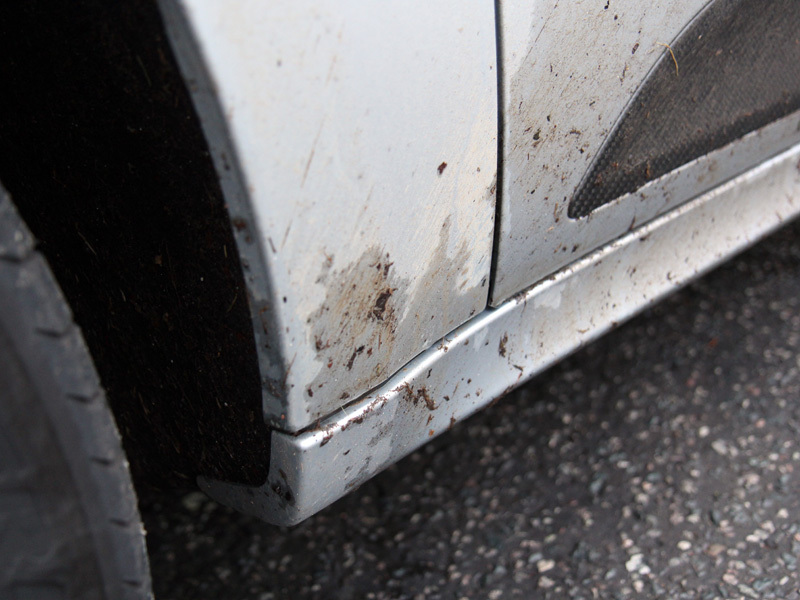 Having been driven from the dealership the Macan Turbo had collected a significant amount of dirt, grime and road debris. Prior to carrying out a New Car Protection Package, the car needed thorough decontamination and cleaning. 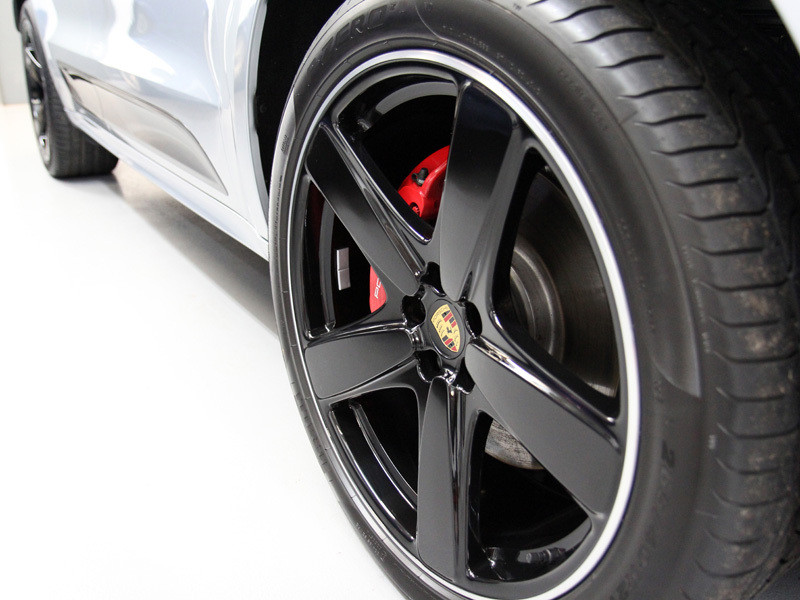 Initially, the Macan Turbo was treated with GYEON Q2M Iron, a pH-neutral solution which acts on bonded ferrous contamination to shrink the bonds formed with the paintwork and wheels. 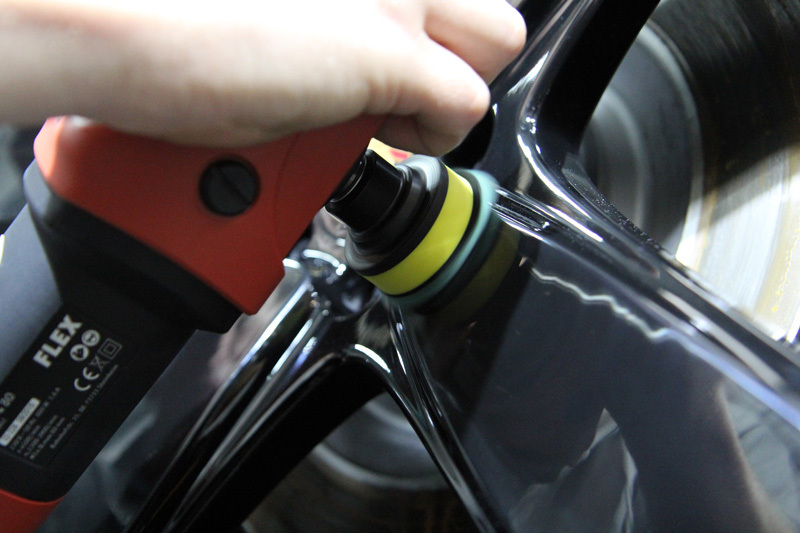 Q2M Iron contains a colour change function which highlights areas of contamination. When the colour has fully developed the product is ready to be safely rinsed away. Next the Macan Turbo was degreased using a solution of Bilt-Hamber Surfex-HD to remove diesel spots and road grime. The car was then treated with GYEON Q2M Tar to break down any deposits of tar and bug splatter. Finally, the whole car, including the wheels, were treated with Ultimate Snow Foam. 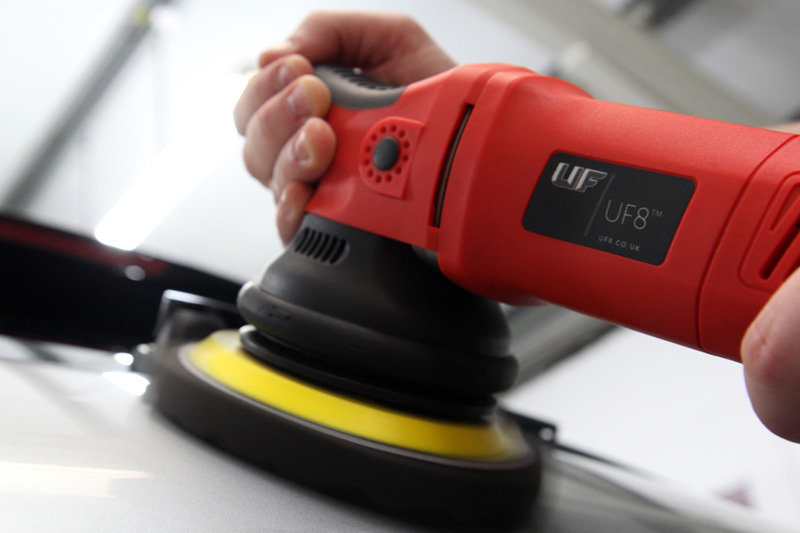 This produces a thick foam which lifts larger particles of dirt and grit away from the surface of the vehicle, allowing them to be freely rinsed away before a wash mitt makes contact with the surfaces. This makes the wash process safer by removing the contamination which, if left untreated is the leading cause of wash-induced swirls. The Macan Turbo was then thoroughly washed using the Two Buckets to avoid cross contamination, an Ulti-Mitt Merino Wash Mitt and GYEON Q2M Bathe. After rinsing the suds away, an Aqua Gleam De-ionising Water Filter was attached to the hose to give a final, pure water rinse. 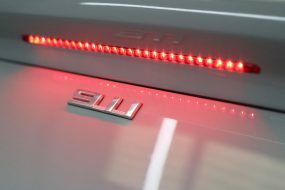 The car was then carefully patted dry using UF Ultra-Soft Microfibre Drying Towels and brought inside the studio for inspection under high-intensity lighting. To correct the damage on the wheels, a FLEX PE8-4 3 Inch Mini Rotary Machine Polisher was used with a FLEX Green Medium Polishing 2 Inch Spot Pad and PolishAngel Esclate Lotion. 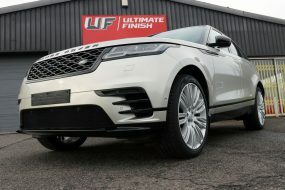 The rest of the car was given a light refining polish using the UF8 DA Machine Polisher, a Flexipads PRO-Detail Hex-Logic Black Finishing Pad and PolishAngel Esclate Lotion. 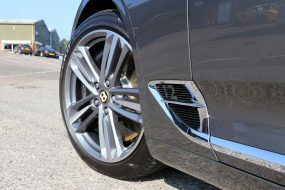 The bodywork, wheels and trim were then wiped with Gtechniq Panel Wipe to remove traces of polish residue, leaving the surface free from any contamination which may interfere with the bonding process of the ceramic sealant. 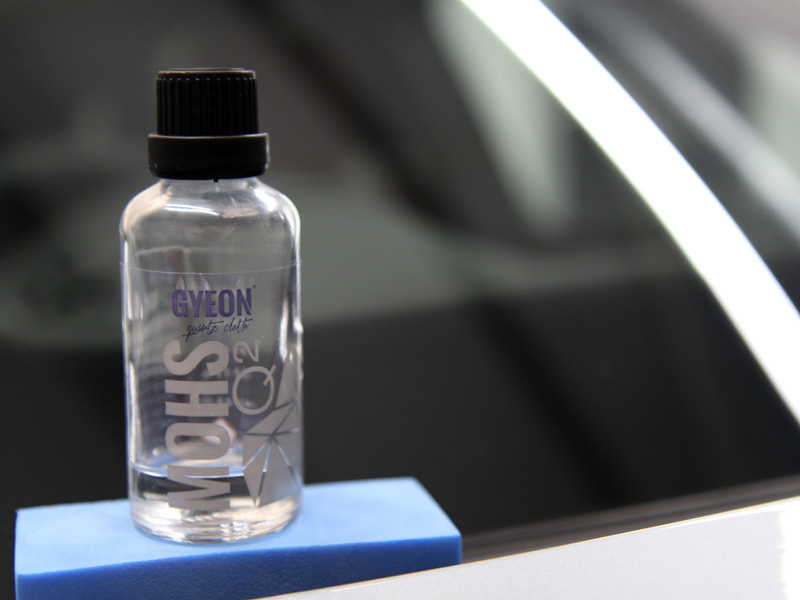 When UF protected the same customers Porsche 991 GT3 with GYEON Q2 Mohs last year, he was impressed with the long term protection it offered and requested it be used on his new Macan. 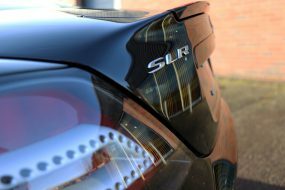 This nanotechnology-based sealant provides a hydrophobic, scratch resistant barrier which protects the underlying lacquer from wash-induced swirls. 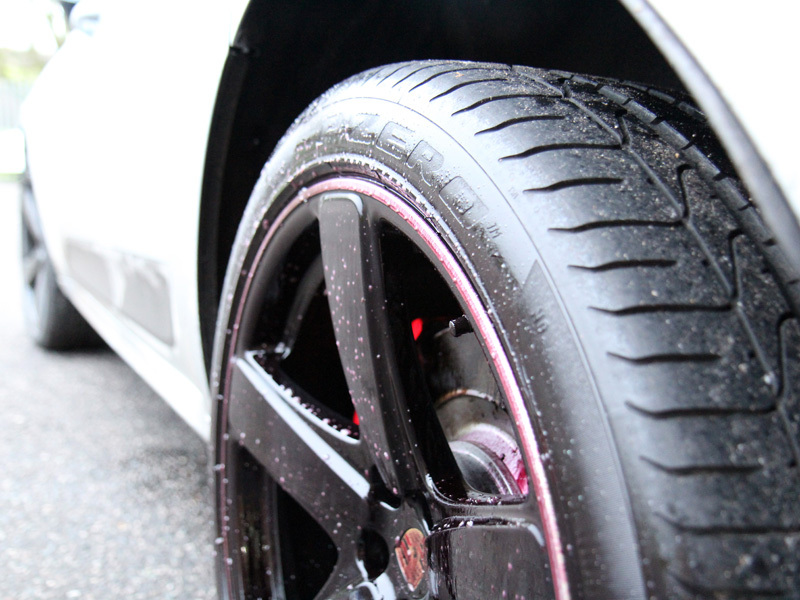 Virtually impervious to extremes of pH, Q2 Mohs causes water to bead on contact and allows it to be easily blown away. The coating also inhibits dirt from adhering as strongly to treated surfaces, so they become easier to clean, negating the requirement for rubbing the paintwork to remove contamination: the leading cause of wash-induced swirls! An initial layer of Q2 Mohs was carefully applied by hand, buffed off and allowed to cure for two hours before a second layer was applied. 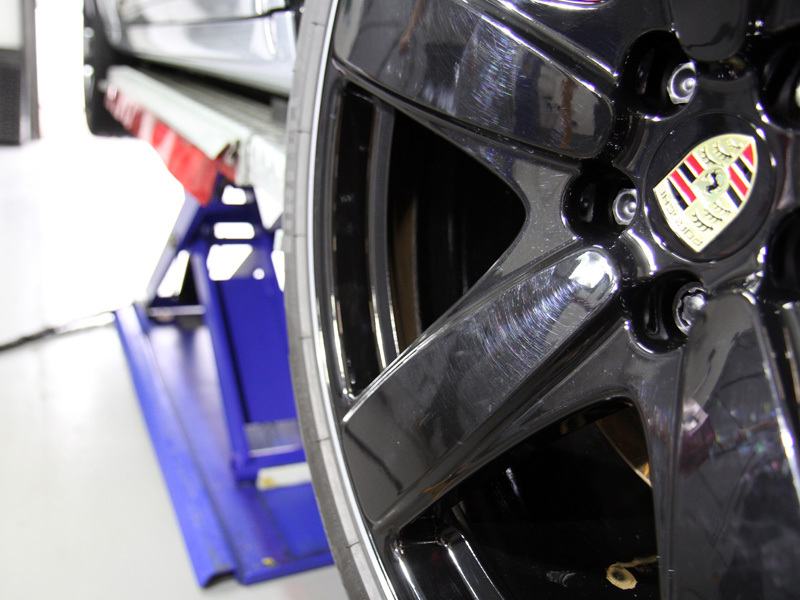 The wheels were coated with GYEON Q2 Rim, a hydrophobic, nano sealant that repels water, dirt, road salts and inhibits the build-up of brake dust. This makes keep the alloys in good condition much easier, and should prevent the wheels from becoming swirled again. To encourage the sealant to fully harden, infra-red heat lamps were used to accelerate the curing process. 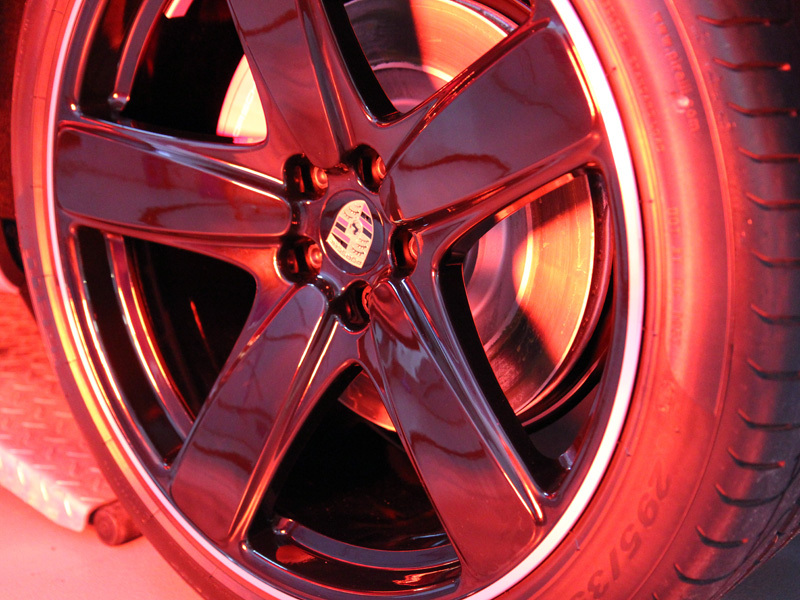 Once cured the wheels looked as good as new – if not better! 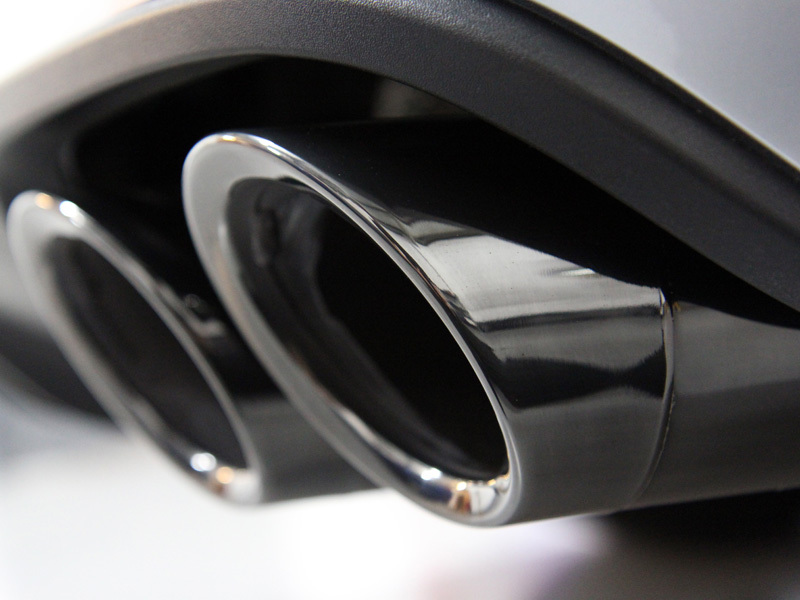 The heat resistant nature of GYEON Q2 Rim makes it ideal for protecting all metal elements, particularly those that heat up – so the exhaust tips were also protected with Q2 Rim. Once the second layer of Q2 Mohs had been allowed to harden for four hours, a layer of Q2 Phobic was applied. 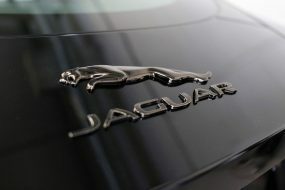 This adds an even stronger hydrophobic element to Q2 Mohs, further improving the self-cleaning qualities. This would be left overnight prior to being wiped over with GYEON Q2M Cure to ensure a perfect, streak-free finish. 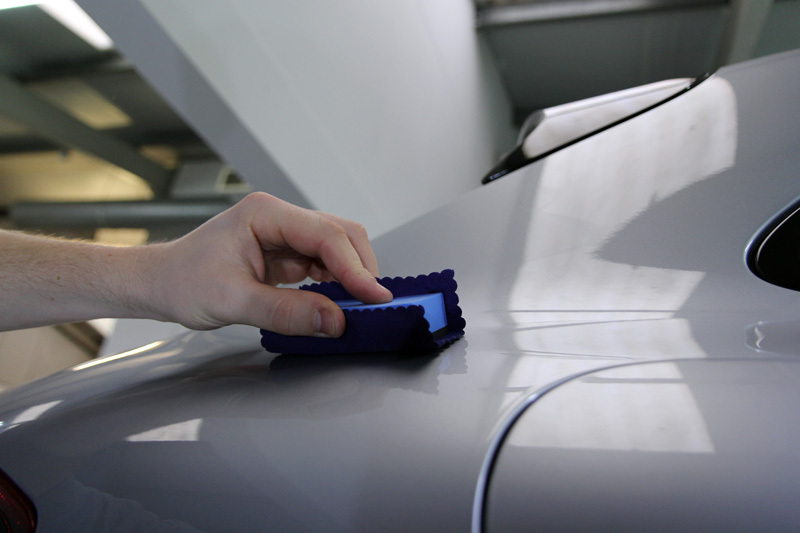 The New Car Protection Package also includes protecting the interior surface of the vehicle. All the interior leather was lightly dusted before being coated with Gtechniq L1 Leather Guard AB, an abrasion-resistant coating that helps prevent rub marks and, importantly for the seats, also prevents dye transfer from clothing. 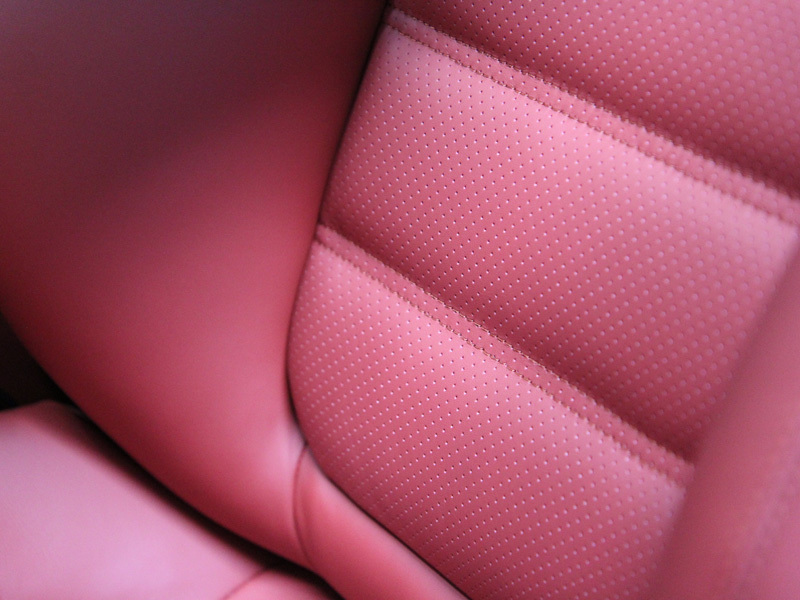 The natural look finish means dust is not attracted to it thus preventing any unwanted residue from accumulating in the seats crevices. This latest version of L1 also has an antibacterial function, keeping the surfaces hygienic for longer. The glass was cleaned then sealed using GYEON Q2 View. This hydrophobic nano sealant repels rain water, making driving less tiring during bad weather conditions. Additionally, snow and ice will not bond as readily to treated surfaces, making early starts on winter mornings much easier. 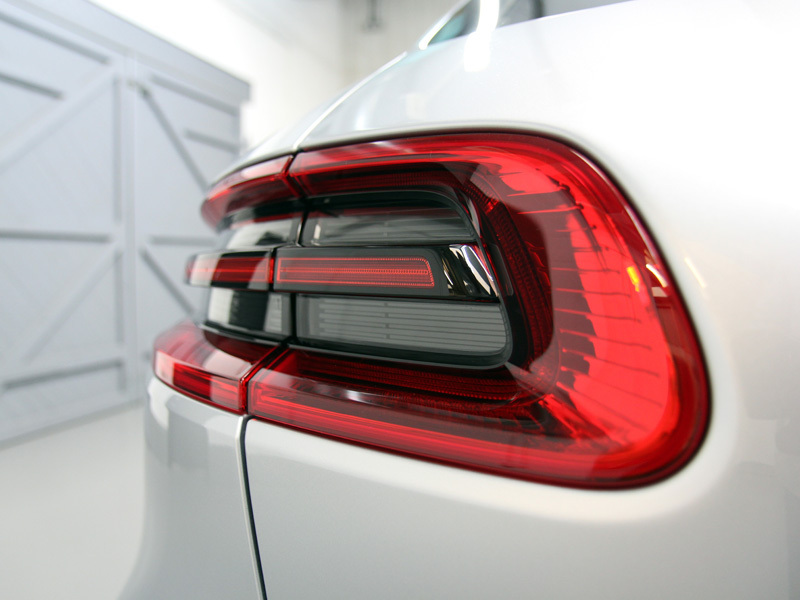 The Porsche Macan Turbo looked stunning when it was finished. 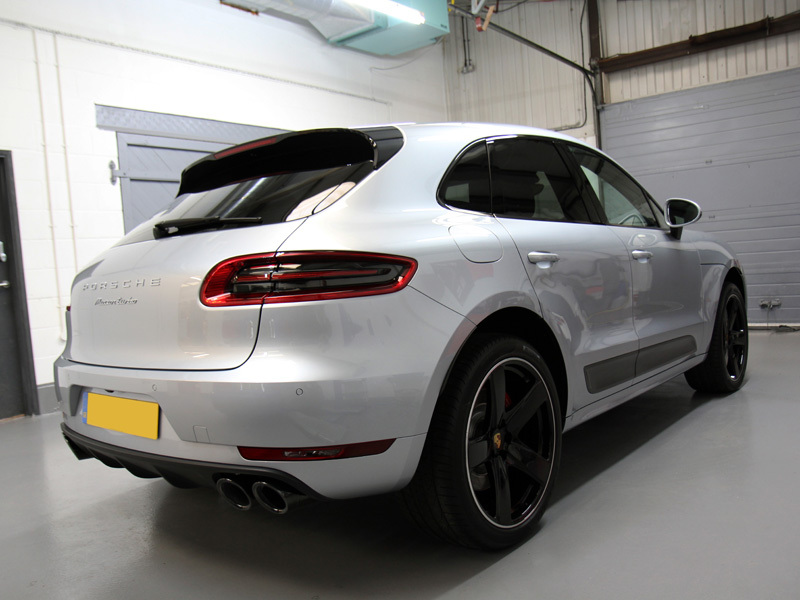 Light coloured paintwork can be difficult to gloss enhance, but the GYEON Q2 Mohs+ treatment made the Macan’s silver paintwork shine brilliantly and the finish is guaranteed by a GYEON two years! UF Detailing Studio – Award Winning Detailing. Call 0333 800 8004 to discuss your requirements and arrange a free vehicle appraisal. 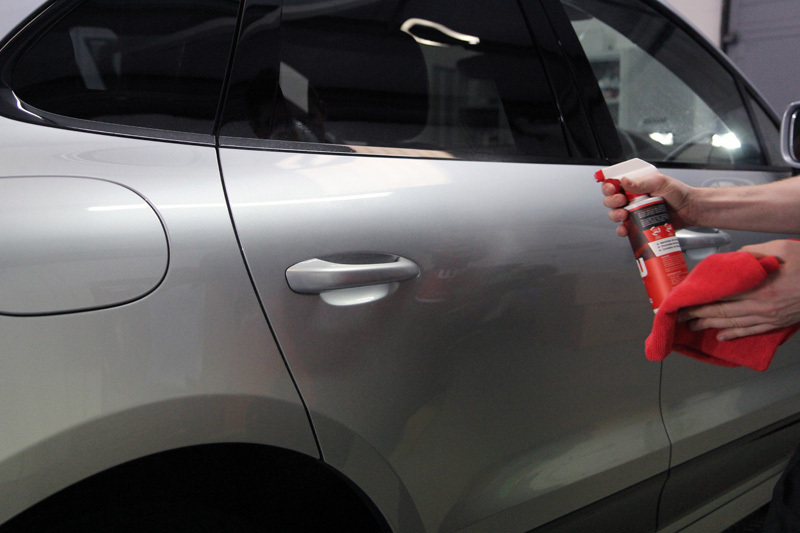 Kamikaze Collection Artificial Clearcoat – Finally, A Durable Solution For Ultra-Sensitive Paint Finishes?